You’ll never get a second chance to make a first impression – so, what’s the secret to optimising your business card design for the biggest and best impact on a new potential client or customer? 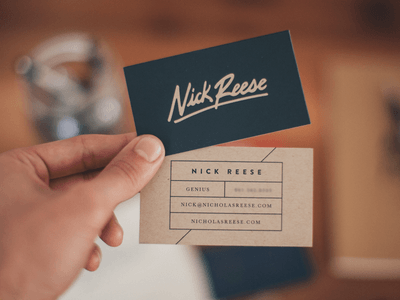 When designing your own business card, layout is the key detail that’s often underestimated but it can often be the difference between being forgotten and making a sale. 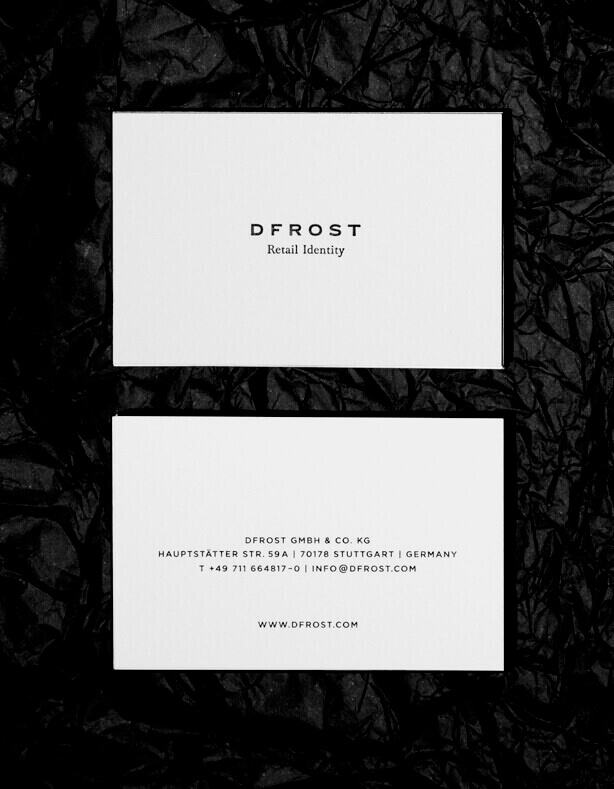 Here are our 5 top tips on how to improve your business card’s layout. With how cheap business card printing is nowadays (not to mention the extremely little space business cards offer in the first place), there’s no excuse for leaving the back blank. You could use the extra space for a clear call to action – ‘call today for a free consultation’, ‘scan code below for 10% discount’ – or a list of features/benefits/unique selling points. If you’re a designer or work in a creative industry, you could even add an illustration to give a taster of your talent and turn your business card into a work of art! 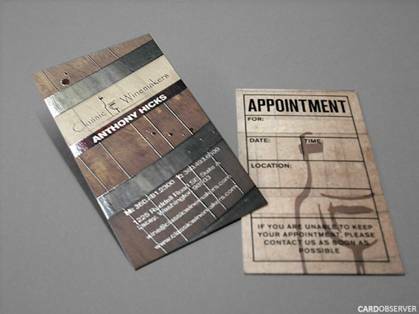 We particularly like the idea below of using the back of the business card to note down an appointment reminder – just remember to use an uncoated paper stock for smudge-free writing! If there are certain aspects of your business card design you’d like to stand out, why not highlight them with Spot UV? Spot UV is a glossy coating that can be applied to certain features of your business card to create a contrast of textures to really draw attention to specific details, like your company logo. It takes a little more effort in the design stage, but you don’t necessarily have to be a graphic designer to pull it off – just check out our free downloadable Spot UV templates or our guide on how to set up your business cards with Spot UV for print. Design tip: when it comes to Spot UV, less is definitely more – too much and it’ll lose its effect. 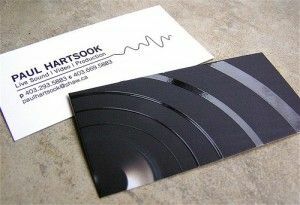 We think the mini business card design below is a really clever example of how to incorporate Spot UV into a design – the glossy areas allude to a record; very fitting for a DJ’s business cards! One of this year’s top print marketing trends is combining print and digital. 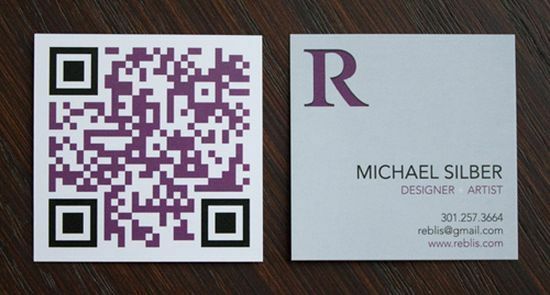 One way of incorporating this winning combo into your business card design layout is by adding a QR code. QR codes are uncommon enough to create a sense of intrigue and you can link them to pretty much anything online – your website, an ‘about us’ piece on your blog, your social media channel or even your company’s downloadable app! The following example uses the shape of the square business card to perfectly fit the QR code. For a sleek, modern and minimalist design that doesn’t overwhelm, white space is crucial. It’s a little bit like breathing room, but for your eyes, and can improve readability dramatically. Sometimes known as negative space, white space can be any colour – as long as its free from content. It not only makes your design more aesthetically pleasing, but it can also be used to focus attention on key details. For this style of business card, just include your personal contact details and logo. We love the simplistic layout of the business card design example below, especially how all the important information is centrally aligned. You’re a passionate business owner with a lot to shout about. But if you’ve got a lot of information on your business card, you might be tempted to shrink your text. Use a teeny tiny text at your own risk – ideally, you want your business card to be as readable and clear as possible. We recommend using an easy-to-read and professional font that’s no smaller than 8pt in size. Cursive fonts may look great for small pieces of text, but for your contact details stick to a sans serif font for clarity – like the example below! See our blog for a detailed approach to the psychology of typography. Most importantly, remember to suit your business card design to you and your business. When you’re handing it over at an event, it’s you who the contact will remember – so have confidence that your new, fantastically designed business cards are reinforcing that great impression you’ve already made just by being you! 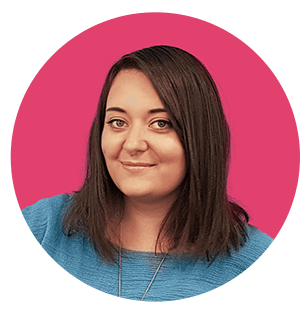 Read more on what you need to know to create a professional business card here, or if you’d rather get straight into designing then why not get stuck in with our free, professionally designed templates you can customise online?